Today I am just going to post the fabric, supplies and tools that you will need to complete the project. That way you can have the time to prewash your fabric and iron it and will be prepared to start in next week with the first step. I highly recommend that you prewash and iron any fabric being used to sew any garment. Keep in mind that this dress is designed for woven fabrics and not knit fabrics. 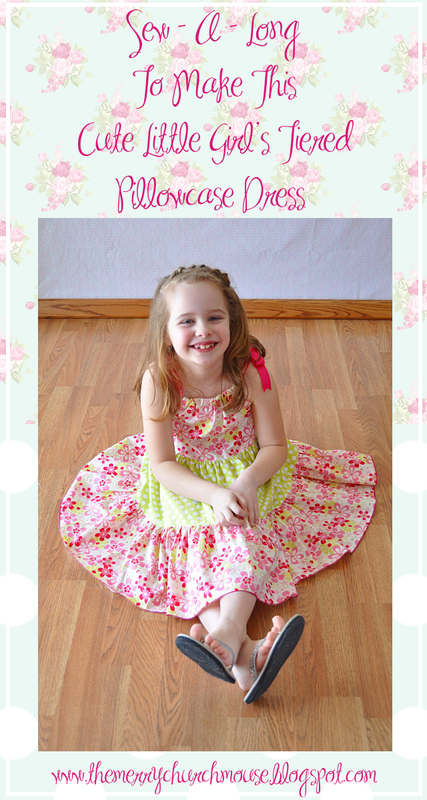 The instructions will be given to complete the dress in sizes 2-3, 4-5, 6-7, and 8-10. The dress can be made in several different ways, it can be made in either 1, 2 or 3 fabrics, therefore I will give the fabric requirements for each section of the dress. That is, bodice, tier 1 and tier 2. Have fun choosing your fabrics! I can't wait to see what you all come up with! I'm sure these will be fun to make and to wear! Thanks for stopping by my blog. Did you know you are set as a No Reply blogger? I couldn't reply to your comment except for coming here. I just wanted you to know in case you want to change it.